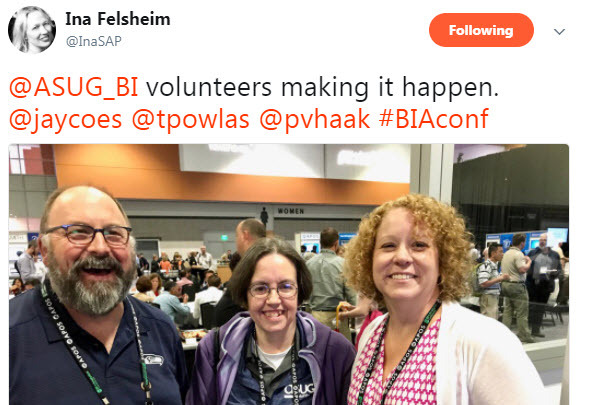 For fun, I pulled a week’s worth of tweets using the conference hashtag #BIAConf from last week’s BI+Analytics conference. 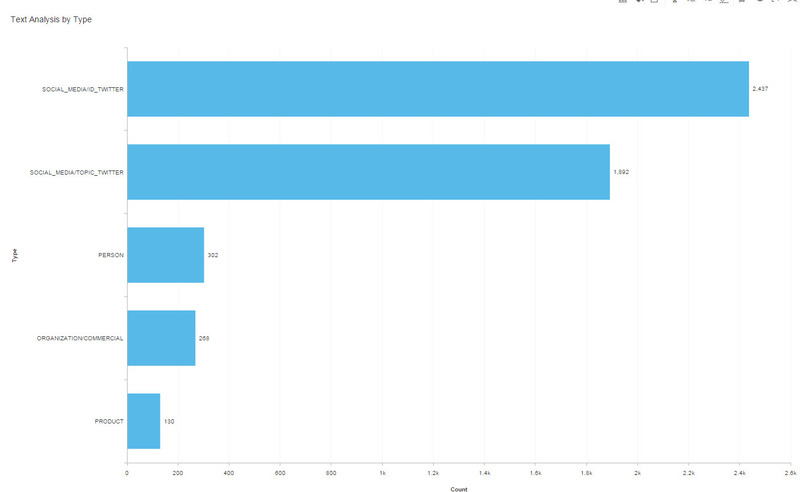 Attendees were very active on twitter last week. 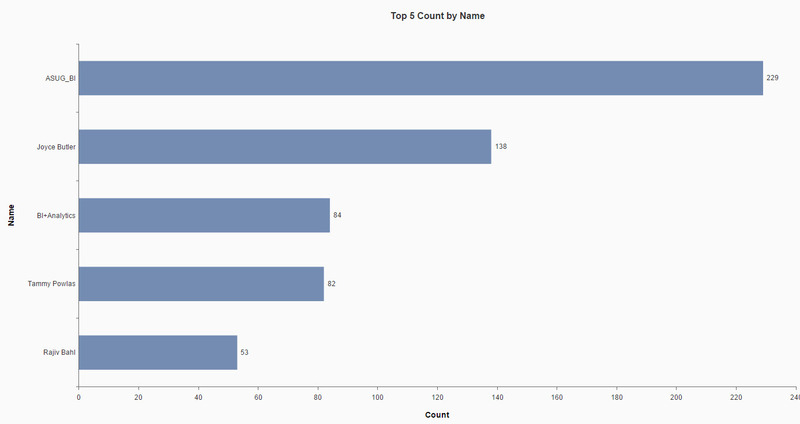 Above shows the text analysis by text type, with social media twitter ID being the top. 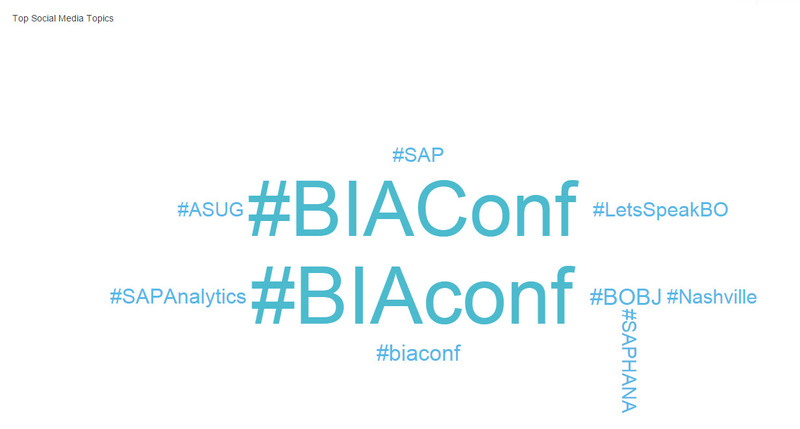 It is no surprise that tag #BIAConf is the top topic, followed by SAP Analytics, ASUG, Nashville, HANA and Infosol’s Let’s Speak BO tag. 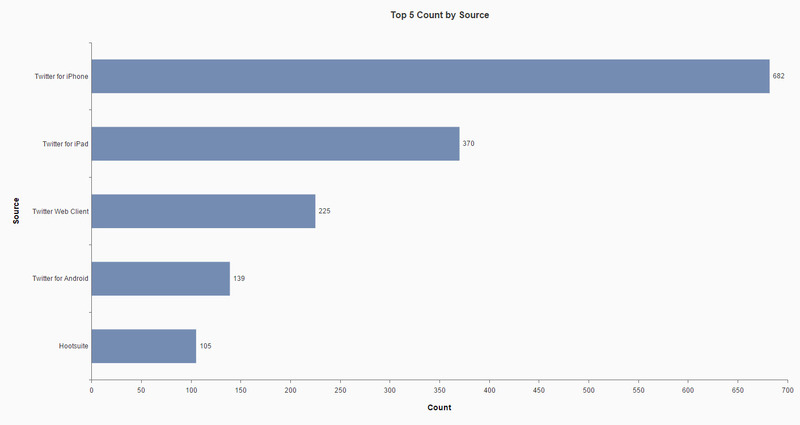 Text analysis labeled the above top “products”. 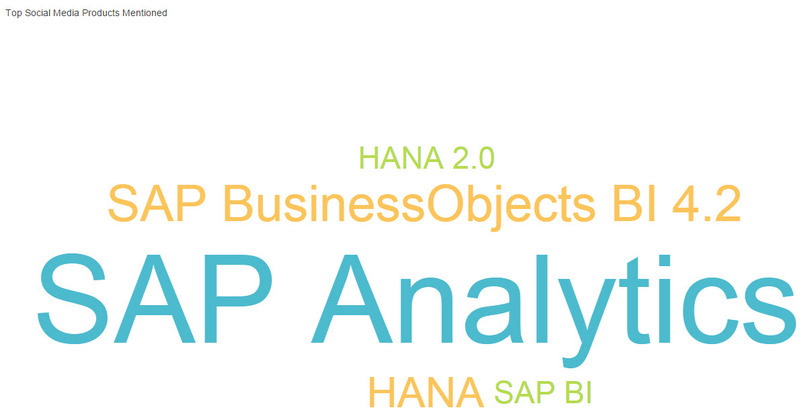 BI4.2 and HANA lead the way as top products. Top organizations include “SAP”, Lockheed Martin, UPS (mentioned in SAP Mike Flannagan’s keynote”) and an Amazon gift card was one of the give aways at the SAP Booth. 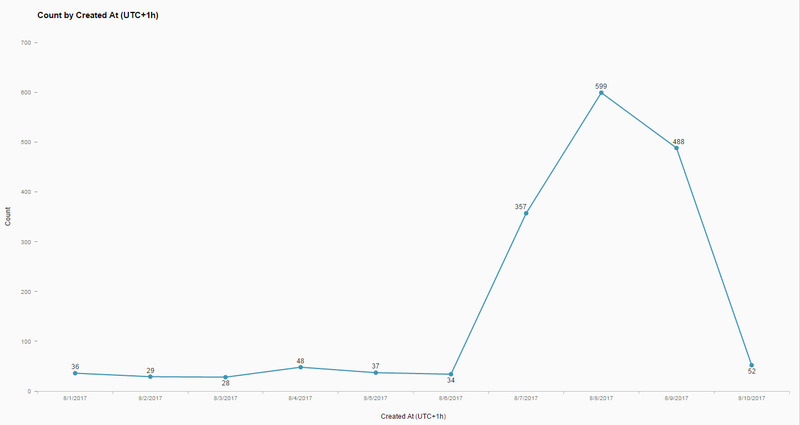 Eventful kept things engaging with twitter contests. 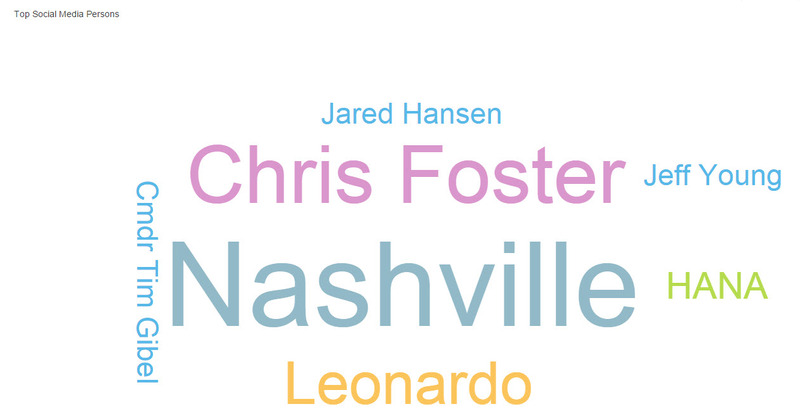 Interesting that social media thinks “Nashville” is a person; same for Leonardo. Chris Foster from the NHL was the first keynote. Commander Tim Gibel, from the Royal Canadian Navy, was a keynote speaker. Jeff Young, University of Utah Healthcare, gave a presentation on Web Intelligence. Jared Hansen, City of Mesa, Arizona, won the twitter contest. 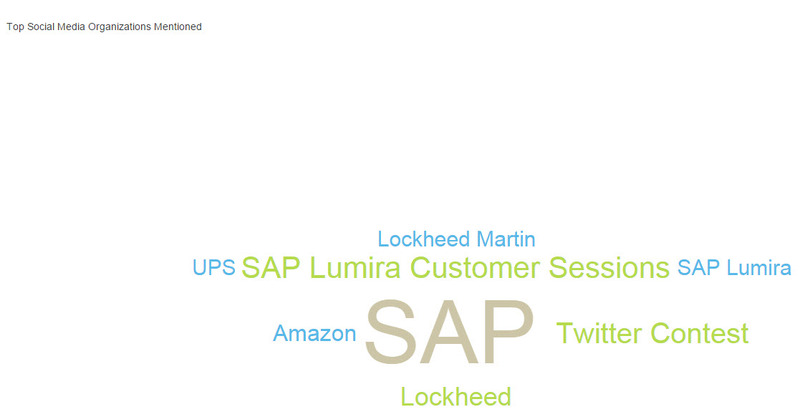 Top ID’s mentioned include the conference twitter ID (@BIAConference) and Mike Flannagan, SAP keynote speaker. 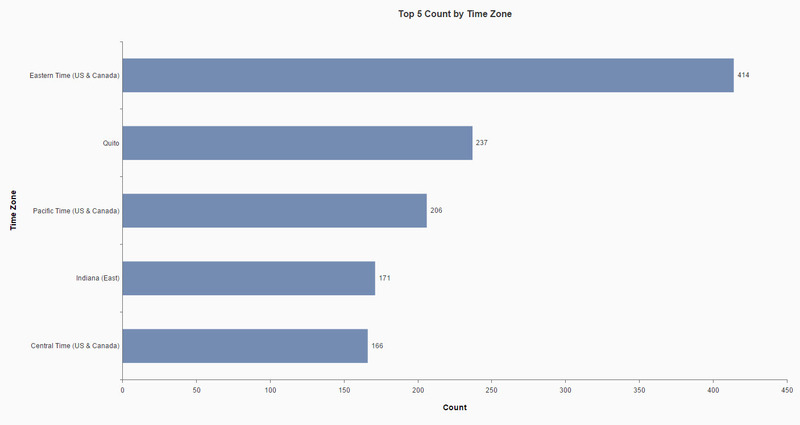 Top tweeters are shown above; but it’s not about quantity but quality. East coast was the top timezone, even though the conference was held in the Central time zone. What was new, at least at this conference, is products like “Digital Boardroom” are making some headway in the text analysis – not enough to be the top in a tag cloud, but maybe in a future conference.